Anchorspace is your Bar Harbor office… and then some. Right on Main Street but still with plenty of access to parking, local amenities, adjustable stand-sit desks, and high speed internet, we have 1800 square feet of awesome to support your project, business, or organization. 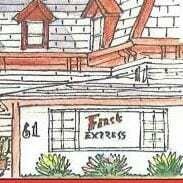 Your business services center in Bar Harbor, UPS and FE DEX office, printing and copying services, computer access and even large format printer. Paper, cards, stationary and all the office supplies you need. The Jesup Memorial Library is a community resource and gathering place. Our collection includes a wide variety of books, ebooks, audiobooks, movies, CDs and much more. We offer book signings, concerts, slideshows and informative programs of all sorts – free to everyone and open to all – throughout the year. Our retail location, Secondhand Prose offers gently used books of all kinds with profits going directly to the Jesup. Massage and spa treatments at its finest. Be pampered by the areas top rated therapists. 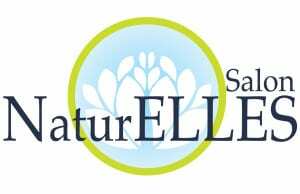 Our Mission at Salon NaturELLES is not only to provide our clients with excellence,but also to care for the way we give back to our planet and community. We take mindful consideration in using organic and healthy products which help protect the health of the planet and the people on it. Nature and adventure tours around Acadia National Park, Downeast Maine, and beyond. Whether your interest is birds, nature, tide-pools, photography, hiking, sea kayaking, bicycling, cross country skiing, or snowshoeing, we design our tours to suite your fancy. Or join one of our regularly-scheduled tours. Groups are kept small for your benefit. We also stock a variety of binoculars, spotting scopes, field guides, and items for the field naturalist. Participates in our programs receive 10% off stocked and special order items.